We take pride in our commitment to military veterans. Our Veterans Center is dedicated to making the transition to student life a seamless one. Can’t make it to Carbondale? No problem! We have you covered with on-base locations! For financial aid consideration, complete and submit your FAFSA form as soon as possible. Our Federal School Code is 001758. Freshmen, apply now for Fall 2018. Transfer students, start your application now to jumpstart your future. 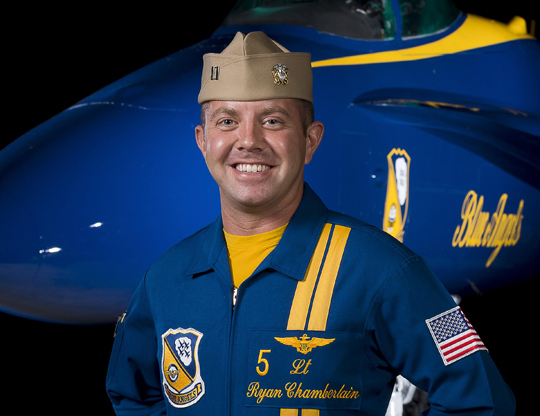 Lt. Ryan Chamberlain received his bachelor's degree in aviation management from SIU in 2003. Now, he flies with the Blue Angels.